Music is one of the first things babies respond to with intense focus and emotion. There is a reason we instinctively soothe with lullabies and that when we’re happy and we know it, we clap our hands! 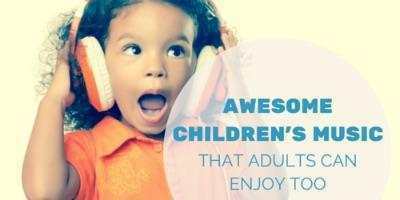 Nearly all young children are fascinated by music and rhythm, so it’s no surprise that baby and early childhood music classes are some of the most popular first mommy-and-me activities out there. You might think that being musical is just luck—some people are born with musical talent and others aren’t. Not so! In fact, research suggests that all babies are born with perfect pitch and all children can learn to sing and dance just as they learn to walk and talk. Babies and young children are sponges, learning naturally and constantly through imitation and play. This understanding of how babies and young children develop their innate musical ability provides the foundation for the play-based music and movement classes at Fun With Music Together—offered for the past 15 years in the Toronto area. Classes at Fun With Music Together follow the globally recognized Music Together early childhood music curriculum. First launched in the 1980s, Music Together is in more than 3,000 locations and more than 40 countries worldwide. Parents have several programs to choose from at Fun With Music Together in Toronto—all of which incorporate singing, dancing, and play. Mixed-Age and Babies Classes for children from birth to age 4 expose infants, toddlers, and preschoolers to a wide range of fun musical activities. 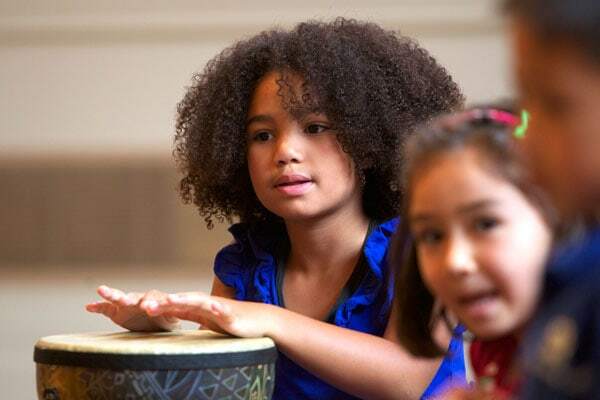 Rhythm Kids djembe-drumming-based program for ages 5–8 combines movement and drumming with music from Ghana, Puerto Rico, Morocco, Mali, Guinea, Colombia, Senegal, Nigeria and other countries. 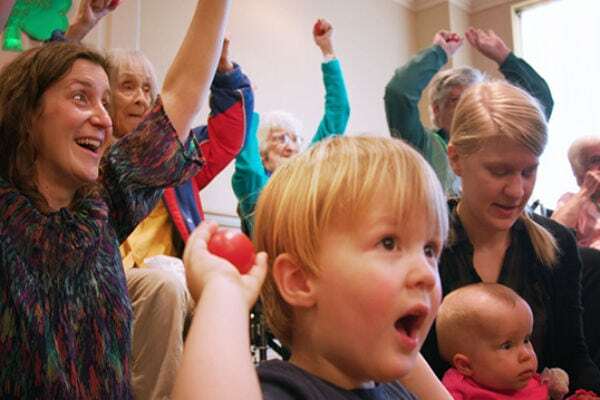 A truly unique music program is the Generations Classes, which bring families to retirement homes to participate with residents. It’s an opportunity to bridge generations, connect with your community, and bring a smile to faces young and old. If you’ve done one class you haven’t done them all, since each semester is different—with new music and accompanying take-home songbook plus CD and digital music files. There’s a handy makeup scheduler online so you can reschedule a missed class. Siblings under 10 months of age attend for free! Try before you buy: you can sign up for a free trial class online. Classes are offered in lots of locations: Swansea, Roncesvalles, Leslieville, Riverdale, The Beach, Trinity Bellwoods, and Etobicoke. Whether you’re interested in developing your child’s musical ability or just developing their sense of wonder, early childhood music classes are worth checking out! Fall registration is currently open at Fun With Music Together, for classes beginning September 22, 2018.